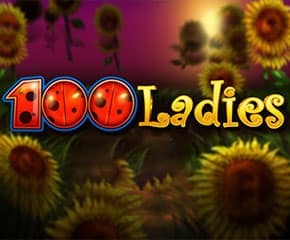 100 Ladies slots is one that features two ladybugs and the love story they share. There are colourful characters that have been used and each has wonderful rewards to shower on you. The bubbles in the background are floating and it is a treat to watch the movement that takes place in this slot game. There are ample chances to win big wins if you spin the reels right. What is most attractive is the overall display which keeps the players interested to explore. The soothing background music and the rewarding bugs will keep you entertained and heftier your pockets. 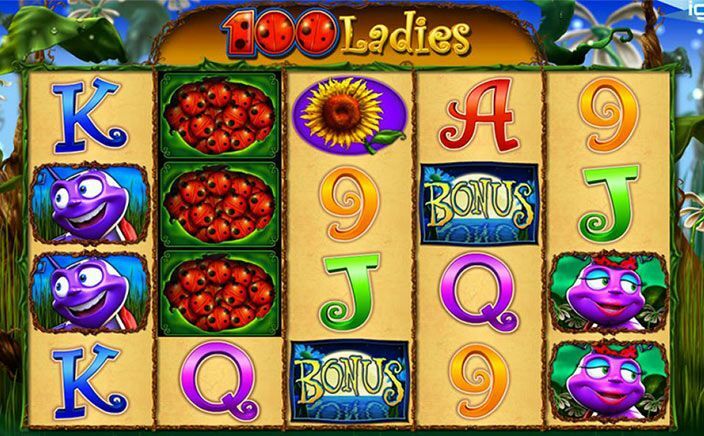 100 Ladies slots have been developed by IGT which is one of the leading game developers. They are the ones who have been the pillars for few of the best games in the gaming industry. Also known as the global innovation leader, they combine the best energies to deliver the best games to its players. The headquarters is located in the United Kingdom and have established themselves as one of the leading game developers. There are 5 reels and 100 paylines to play with and there are ample features which are ways to yield you wins. The ladybugs are the main characters and are also the most rewarding feature. One you start spinning the reels, you have to make sure that you land matching symbols to win. The group of ladybug symbol represents the wild and will replace other symbols to complete winning combinations. The free spins feature is one of the main characteristics which also give you chances to earn double the best size. The female and male lady bug are one of the highest paying symbols which will help in giving you extra free spin during the bonus round. It is one of the unique slots ever created because it has rewarding features and it is fun to watch the different symbols spin along the reels. It also has a friendly theme and has ample bonus features and rewards to help you win more. There is also the fun play version of this 100 Ladies slots through which you can understand the basic of the slot before you play for real money.